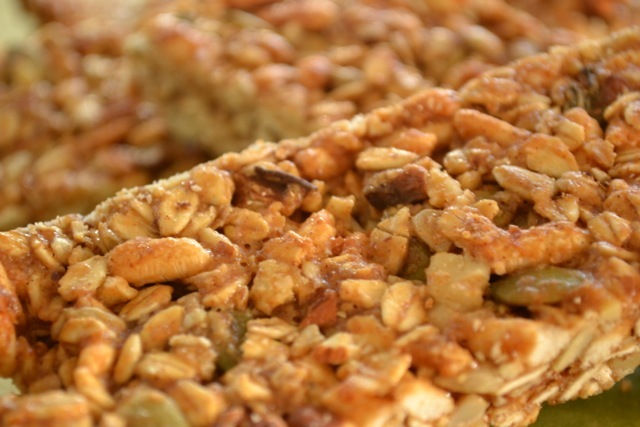 Granola bars are the ultimate grab-and-go healthy snack. 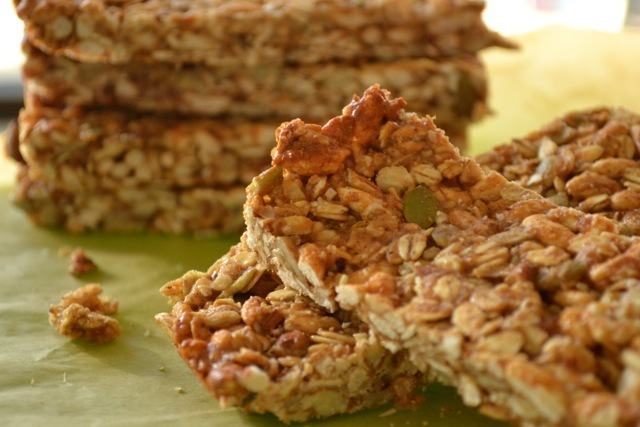 Unfortunately, many of the commercial bars are pricey and packed with not-so-healthy and potentially allergenic ingredients. I started making my own when I couldn’t find any ready-made ones that are soy-free. This recipe, adapted from this one, is quick, easy, and fully customizable (if you’ve been around J&S for a bit, you already know that’s my favorite kind of recipe ). *Ingredients can be substituted as long as the DRY to WET ingredient ratio remains the same. That’s very important. 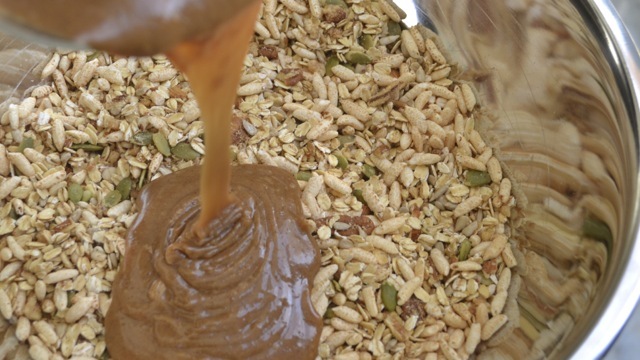 Combine DRY ingredients in a large bowl, and set aside. Taller bowls work better for this recipe than wider ones, but either will do. Add WET ingredients to a small saucepan, and cook over medium-high heat – stirring frequently – until combined and slightly bubbly (apr. 4 mins). Pour warm WET ingredients over DRY ingredients, and stir/fold until dry ingredients are uniformly coated. Spoon mixture into a glass casserole dish lined with parchment paper, and press (whack!) with the back of a large spoon until firm. Store bars in an airtight covered storage dish, or individually wrap in plastic wrap. Definitely will be making these. 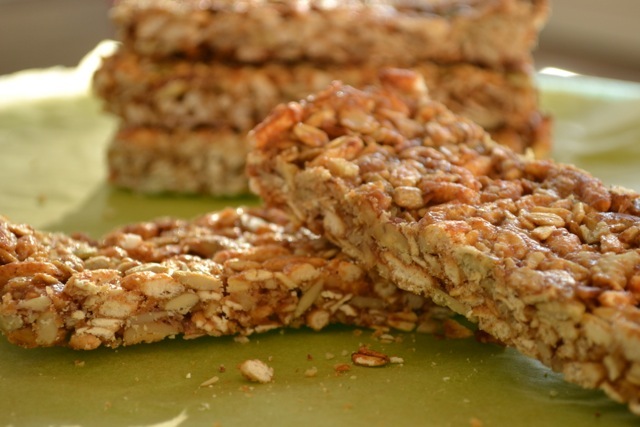 My children love granola bars and as I am trying to make the switch to organic I am just not with all of the extra stuff in the foods I am giving them. Definitely going to try these! I’ll let you know how they turn out! I hope your little ones love them! It’s nice to be able to know and decide exactly what goes into them. I think these bars would taste great with dried fruit in them, but my fam is not up to trying that, lol. 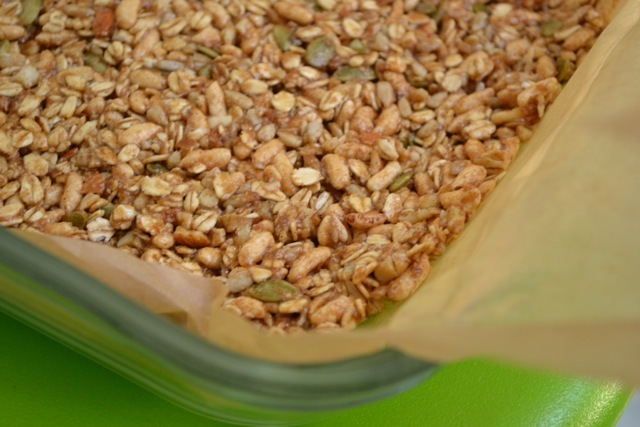 Please let me know how your granola bars turn out! I will be trying this recipe out. 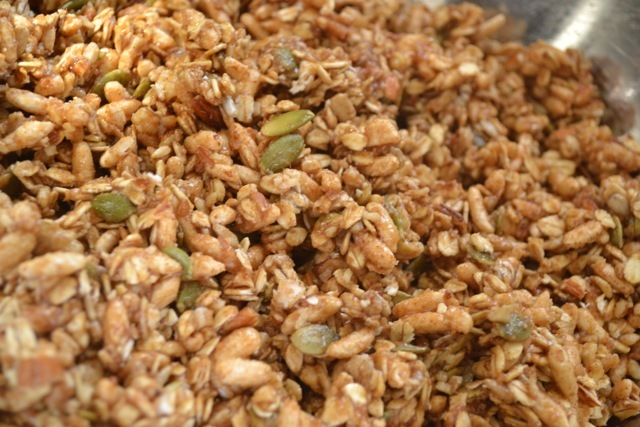 Dried fruit and nuts are no-go’s with my camp but I can sneak the seeds in and add some chocolate chips.